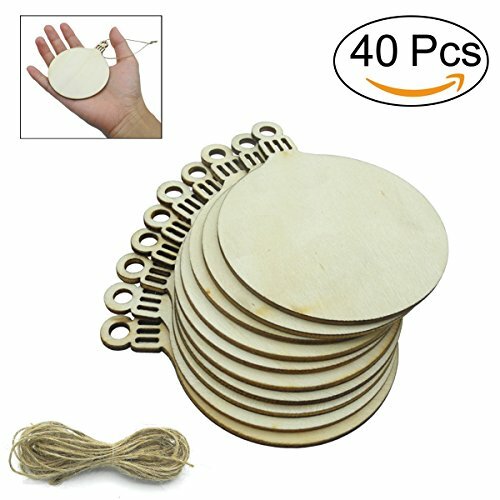 Made of nature wood: 40 piece unfinished round wood slices, great for Christmas ornaments making. Dimensions: round part measures 7 cm / 2.75 inches in diameter, LW 9 cm/3.6 inches x 7cm/2.75 inches. 2.5 mm in thickness. If you have any questions about this product by Cualfec, contact us by completing and submitting the form below. If you are looking for a specif part number, please include it with your message.